If you're looking for roof repair and maintenance, roof replacement, or new roof installation Armor Shield Exteriors is your one-stop shop! We provide expert residential and commercial roofing solutions throughout Connecticut, and we can give you a long-lasting roofing upgrade that adds both beauty and durability to your home. Armor Shield Exteriors was founded in 2001 by experienced roofing and building contractor Scott Tearman, who wanted to use his 20 years of industry experience to provide customers with the best quality service they deserve. We have been operating on that principle ever since, and we always strive for complete customer satisfaction and a high-quality roofing solution. Winter in New England can be hazardous with severe blizzards and ice storms a normal occurrence. Connecticut homeowners know first hand how costly the damage some winter storms can be to a home and roof. At Armor Shield Exteriors we want to help you protect your roof and home with expert snow removal, as well as ice damming prevention and removal services. We take pride in providing our customers with the peace of mind a well-protected roof can provide all winter long. We have a variety of products and services to help keep ice off your roof and water out of your home. 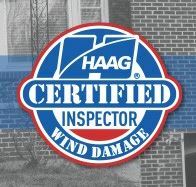 Contact us today online or by phone at 1-855-272-1229 for a free consultation before or after next storm hits! Save money through our referral program. We install every shingle to exacting standards to ensure that you receive the full benefit and longevity that was intended. When you hire Armor Shield Exteriors to install your next roof, we will work with to find the best products and give detailed explanations of every aspect of the roofing service we are providing. We always make every effort to keep your property clean and free of debris, and we’ll do a thorough cleaning of any project related materials prior to our departure. We also provide 24-hour emergency service to ensure our customers are always taken care of. Our commitment to excellence has been recognized by the industry. Armor Shield Exteriors is an Owens Corning Roofing Platinum Preferred Contractor and a HAAG Certified Residential Roofing Inspector, certifications that highlight the quality and service we provide to our customers. 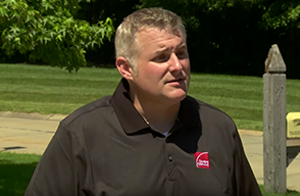 We hear horror stories all the time about roofing contractors who install a roof and cash the check but are nowhere to be found when an issue arises. Our integrity and profound belief in service after the sale means that you will never face this problem. We are not perfect, but should an issue arise, we will be there to make it right. This is just another reason Armor Shield Exteriors is one of the best in the industry. Our roofing services cover everything from minor repairs to complete roof replacement, including storm damage repair, roof leak repair, and energy efficient shingles. We service a wide variety of roofing materials and will provide you with a long lasting solution no matter what kind of roofing problem you have. We offer free cost estimates on all our work, so call us today to get started on your next residential or commercial roofing project. We proudly serve throughout Shelton, Bristol, Bridgeport, Danbury, Stratford, Weston, Wilton, Trumbull, Ridgefield, Westport and the surrounding areas.